The above picture was taken on April 16, 2001. It was a beautiful spring day in Victoria, BC Canada when Professor Presas, as many refered to him, was out for a beautiful walk down to the ocean and back. He paused for a moment to catch his breathe by this post and ask," How far did we walk today?". No matter what the answer was, Professor would always continue on and go that extra mile. 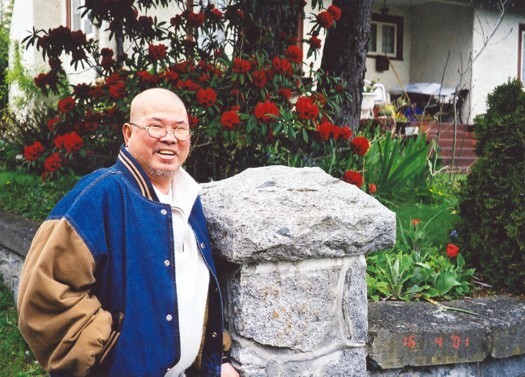 Professor Presas was a man that openly shared his heart. His charismatic smile and vibrant energy, which he gave so freely, touched thousands of students around the world. Not only could he pass on his Martial Art with such enthusiasm and electrifying energy but he had this ability to warm the hearts, inspire and bring smiles to those that came in touch with him. His polite phrase," Can you do "dat" for me?" will always reverberate in the ears of those he trained and remember him. To come across a man with an undying devotion to help people succeed in life, encourage and believe in them, is a gift and an honour. It is also an intricate detail he included in the "art-within-the-art" Modern Arnis. The fire he lit stays burning, bringing warmth to students (new & old) and sparks for the Instructors to continue to go that extra mile. For more than 50 years, Remy Amador Presas has pursued his passion for the stick, knife, sword, dagger and empty hand - all in the name of Modern Arnis, the Philippine martial art he created and continues to refine. Modern Arnis is one of the most popular, efficient and easy to learn systems of self-defense in the world, and Presas spread the style by conducting seminars and workshops around the globe. In fact, the humble master is responsible for pioneering the martial arts seminar by teaching his art to students of any style or level, as long as they are willing to pick up a stick and open their mind. Presas began his study of Arnis at age 6. He learned from his father, Jose Presas, in the small fishing village of Hinigarin, Negros Occidental, in the Philippines. He left home at age 14 so he could pursue his interest in the fighting arts practiced on the many islands of his homeland. These arts were blends of systems from all over the world: Thailand, China, Spain, Indonesia, Japan and India. They had reached the islands as the people of the Philippines interacted, traded and fought with these diverse nations. Presas refined and blended the important aspects of tjakele, arnis de mano, karate, jujitsu and dumog into the art he named Modern Arnis. "Long ago, Arnis was a dying art," Presas says. "The old practitioners believed the cane was sacred. This meant they would always aim at the hand of their training partner and not at the cane for practice. Most of the students got hurt right away and immediately lost interest. I modernized this and promoted hitting the cane instead for practice. Then I identified the basic concepts of the many Filipino systems I had learned to bring a unity to the diverse systems of my country. This way, we could all feel the connection." Presas prefers to use the term "arnis" over the term "kali". "In the west, you hear the words kali and escrima used a lot," he says. "These terms mean basically the same thing, but if you say kali or escrima, not many people in the Philippines will know what you are talking about. Arnis best reflects the Philippine culture because it is a Tagalog word." Tagalog is the national language of the Philippines. "In the Philippines," Presas continues, "if someone heard you were a good arnis player, they would challenge you - anywhere. I did challenging also. We fought in the streets, alleys, parks - all kinds of places. Sometimes there were very bad injuries, but I did not lose." Presas' experience and prowess were unsurpassed. By 1970 he had created a sensation in his country. His Modern Arnis Federation of the Philippines boasted more than 40,000 members. 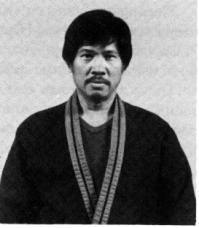 In 1975 he left the Philippines on a goodwill tour sponsored by the government to spread Modern Arnis around the globe. After arriving in the United States the art has grown rapidly. Modern Arnis is often referred to as "the art within the art." The techniques are based on patterns and theories of movement, instead of static moves and drills. Rather than learning complex forms and one-step sparring drills for each weapon, students learn the fundamentals of natural movement and use the same patterns of attack and defense in response to each direction, type and intensity of attack. This is true regardless of whether they are holding a sword, dagger, stick or no weapon at all. In addition, all the techniques lead into a countless variety of disarms, throws and locks using the maximum leverage available from whatever weapon is being utilized. At the advanced level, patterns give way to a continuation of movement. This facet of the art is often referred to as the "flow". Flowing refers to the way in which arnis practitioners transition effortlessly from one technique to the next as they sense the movements and attacks of their opponent and respond automatically and continuously. This sensitivity is developed through a freeform sparring exercise called "tapi-tapi". It is a technique similar to the chi sao (sticky hand) drills of wing chun kung fu and the push-hand training of tai chi chuan. Tapi-tapi proceeds at a lightning pace, with sweeping strikes and blocks followed by parries, punyo (but end of the stick) strikes, grabs, releases, traps and eventually disarms, takedowns and submissions. This type of sparing is beautiful to watch, especially when someone as skilled as Presas bests the most advanced opponents while barely glancing in their direction. "The techniques must be practiced slowly at first," Presas insists. "That way, they will become automatic. Also, the student must be relaxed and keep all movements small and purposeful." Modern Arnis teaches students to become proficient and comfortable in all ranges of combat. Each one of the 12 striking angles that define the system has a basic block, disarm and counter to the disarm. Once these building blocks are in place, they can be applied to movements known as sinawali, redonda, crossada, abanico and others. Numerous joint locks, spinning throws and takedown techniques lead to grappling positions with still more control and submission techniques. In recent years, Presas has focused his energies on running intensive training camps hosted by his students in major cities across the United States. The camps last three to four days, beginning at 9 a. m. and often lasting until midnight. Presas offers apprentice, basic and advanced instructor certification, as well as belt testing for rank within the organization. In 1982 Presas was inducted into the Black Belt Hall of Fame as Instructor of the Year. In 1994 he was again honored by Black Belt as Weapons Instructor of the Year. "When I think of how Modern Arnis has grown in the United States and around the world, I can not help but feel proud," he says. "As I travel from seminar to seminar, I look forward to seeing each and every student. It is their dedication to self-improvement that is my inspiration." Presas students, in turn, describe him as gifted, compassionate, energizing and engaging. These endearing terms, however, should not be confused with the savage fire that burns in his eyes as he bears down on an opponent or with the deadly efficiency of the techniques he taught. In his sixties, Presas continued to hone and add to his art while helping others do the same. Through his association with Small Circle Jujitsu's Professor Wally Jay and pressure point specialist George Dillman, Presas' seminars and training camps are never lacking when it comes the sheer volume of devastating techniques available. "I owe a lot to Remy," Jay says. "He helped me a lot." This phrase is repeated over and over again by martial artists fortunate enough to have crossed paths with this legendary fighter, teacher and master of Modern Arnis. His teaching skills, charisma and energy are inspiring to all, and his seminars and training camps should be added to the schedules of martial artists of all styles and systems.